Many customers need to store information in their TrackVia tables that they receive through Gmail. Even TrackVia turns emails from customers into support tickets. Let's say we receive a support request email from a customer. 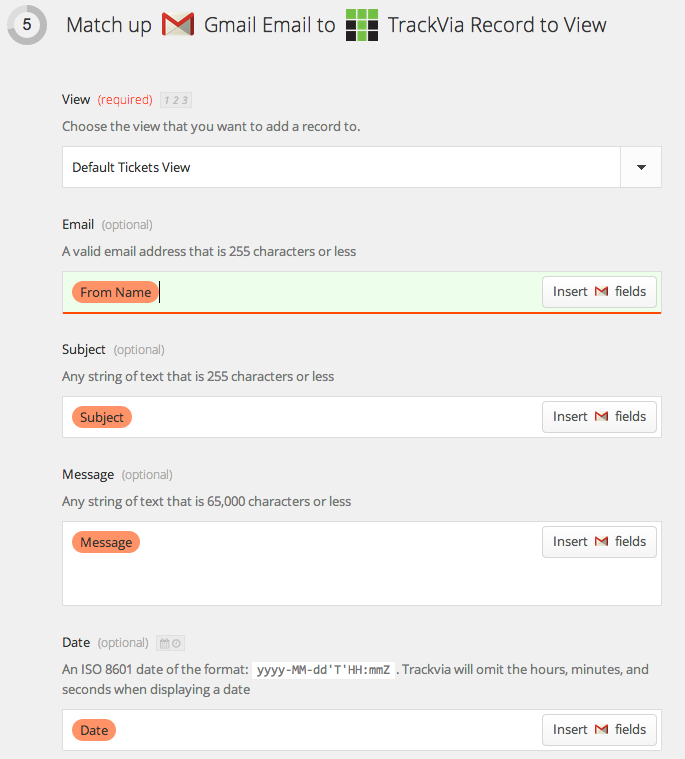 Rather than manually entering in this new customer information into our tickets table, let's get zapier to automatically add a record based on the information in the email. To watch a video showing how this is done, click here! 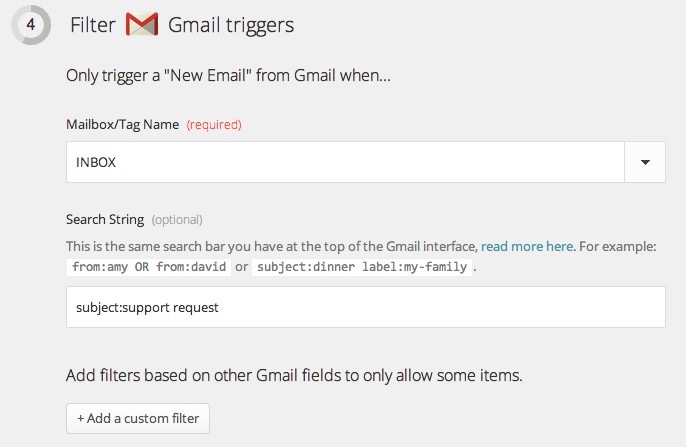 Select Gmail as your trigger app and TrackVia as your action app. Then we will set it up so that anytime a new email is received, a new record will be added to our TrackVia table.